What kind of performance can you expect from these? Well, QC state that performance will jump by 150%, along with a 65% reduction in power consumption - and that's just the CPU. 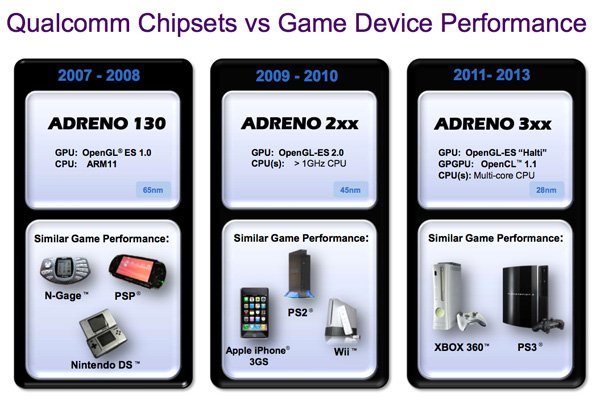 The new Adreno 320 is slated to trounce the original Adreno 200 with up to 15X performance in graphical processing, rivalling current home consoles. Along with these highly impressive figures, we have compatibility for a collection of new components such as NFC and stereoscopic 3D recording and playback, plus the typical GPS/WiFi/Bluetooth connectivity we all expect. The earliest sign of this new force in mobile computing should appear with the MSM8960 (dual-core, Adreno 225) some time later this year, but you'll have to hold tight for the killer APQ8064 (quad-core, Adreno 320) until the eternity away that is 2012. 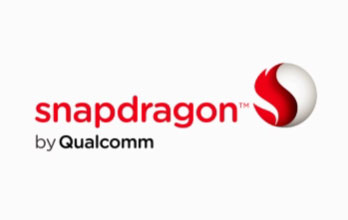 You're such a tease, Qualcomm.